The renowned physicians at La Peer Health Systems in Los Angeles raised money for esophageal cancer research through a recent Facebook campaign. We couldn’t be more proud to participate in such a meaningful fundraising event. La Peer Health Systems is an outpatient surgery center in the heart of Beverly Hills that boasts some of the best physicians and surgeons in the nation. Throughout September, the doctors held a campaign on La Peer’s Facebook page in order to raise funds for the Esophageal Cancer Action Network (ECAN), an organization dedicated to promoting esophageal cancer awareness and raising money for research. La Peer’s Facebook page asked its fans to spread the word about promoting esophageal cancer awareness, and stated that for every new “Like” the page received, La Peer would donate $3 to ECAN. The Facebook campaign was a success, gathering enough “Likes” to donate $822 to the organization, in addition to spreading the word about ECAN and its mission. The Esophageal Cancer Network (ECAN) is a nonprofit organization that brings communities together to help fight against esophageal cancer. Through fundraising and events, the organization effectively raises public awareness of the disease along with funds for medical research to battle the cancer. Because ECAN came together after a family lost its husband and father to esophageal cancer, the group’s mission is a personal one, and the founders strive toward a world where this cancer is detected early and cured. Peyton Berookim, MD, is a medical director at the Barrett’s Esophagus Center of Excellence and is board-certified by the American Board of Internal Medicine and Subspecialty Board of Gastroenterology. Dr. Berookim’s key areas of interest are colon cancer screening, surveillance, and prevention. 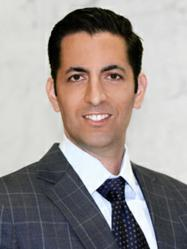 As a member of the American College of Gastroenterology and the American College of Physicians, Dr. Berookim has placed special emphasis on continually educating himself on the latest and most advanced procedures and treatments in gastroenterology. He also has his own gastroenterology practice. Mark Davidson, MD, is a medical director at the Barrett’s Esophagus Center of Excellence and is board-certified in both gastroenterology and internal medicine. He is an Attending Physician at Cedars Sinai Medical Center and other local hospitals in Los Angeles. His practice focuses on clinical medicine and a variety of endoscopic procedures. Thousands of patients have trusted their medical care to Dr. Davidson for a variety of medical disorders but especially for screening of colon, esophageal, and gastric cancers.